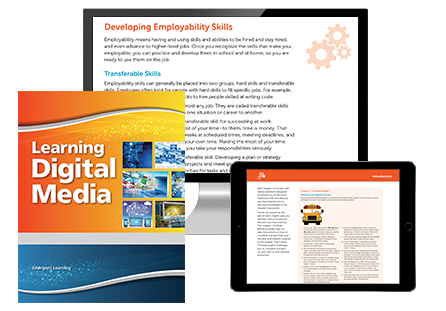 Learning Digital Media gives students an introduction to careers in the Web and Digital Communications pathway of the Information Technology career cluster. It provides practical experience with the technology applications students will need to pursue these careers, including Adobe® Illustrator® for graphic design and illustration, Photoshop® for photo editing, Premiere Pro® for video and audio editing, Audition® for audio post-production, Flash® (renamed Animate in 2016) for animation and game design, and Dreamweaver® for design of high-quality Web sites complete with graphics, animation, and more. 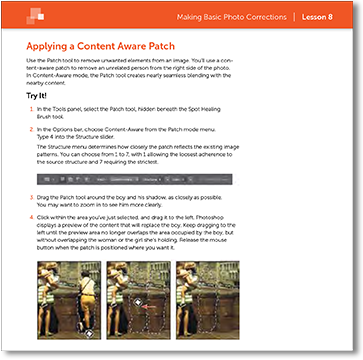 This book supports the Adobe Creative Cloud versions of these applications. Adobe Creative Cloud® gives provides access to the most up-to-date tools and features for all Adobe applications. Chapters are structured to make the learning process simple and enjoyable. 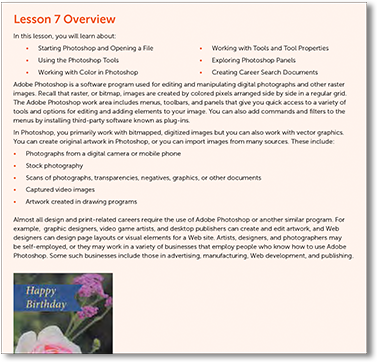 Each lesson begins with a listing of the topics that will be covered in the chapter’s lessons, followed by an overview of why those topics are important. Each exercise is introduced so students know what they’ll be accomplishing in the numbered steps, making it easy to complete each part of the project. Frequent illustrations demonstrate how to select settings, as well as show the results students can use to check their progress. 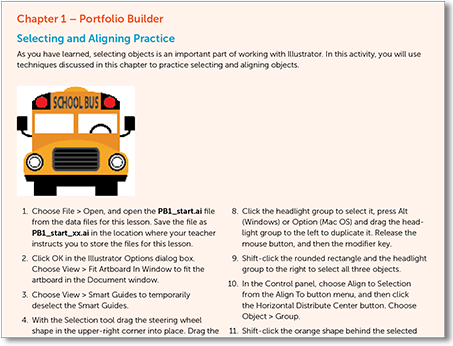 Each chapter concludes with review questions that test students’ knowledge of the chapter’s key points; hands-on projects that provide an informal way to practice practical skills; and Portfolio Builder which challenges students to complete a project using cumulative skills from previous chapters.